While there is nothing wrong with kids learning how to use gadgets and learn skills that will lead to careers, it is just as important to teach your children general household jobs. One of the best ways to do this is to have them help you with the spring cleaning. 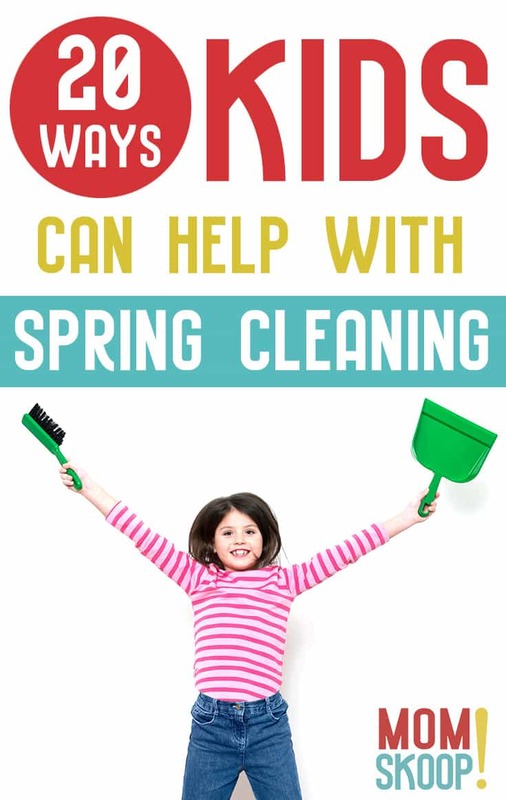 When kids help with spring cleaning they learn responsibility, bond better with their parents and siblings, and learn to become self-sufficient as they grow. Children as young as age three can learn about chores but for this article we’re going to focus on children ages five to ten. Have one child take the foods out of the refrigerator and then another child would remove the refrigerator trays from the refrigerator. Kids can take warm water and dishwashing liquid and scrub the refrigerator on the inside and outside with a kitchen sponge. Meanwhile you can remove outdated food items from the freezer and clean this section out. Once the process is over, one of the kids can put the trays back in the refrigerator while you put the foods back in. Once any large or dangerous items are cleared out the garage, have the kids place three plastic storage bins in the middle of the garage and label them “keep”, “throw away” and sell/donate”. After they do this, each child will go through the pile of clutter and with your supervision, figure out which items will go in which bin. If you intend to sell some of the items at a garage sale, the kids can post flyers about it around the neighborhood. 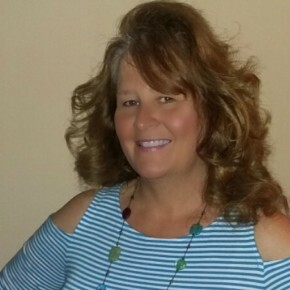 Have the kids go through their closets and dressers and try on clothes that they haven’t worn in weeks or months. Then the kids would set aside clothes they don’t wear anymore and place them in big garbage bags. Have them remove their pillowcases, bedsheets and spreads to give to you so you can wash them. 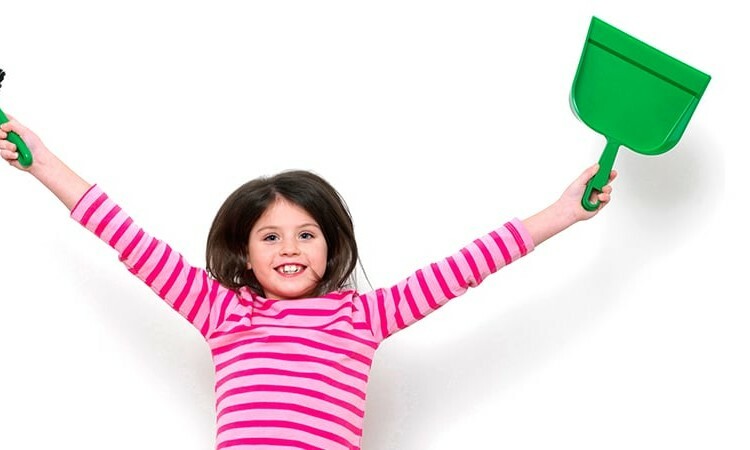 If you have kids who are old enough to handle spring cleaning unsupervised, assign them the task of taking out the trash. 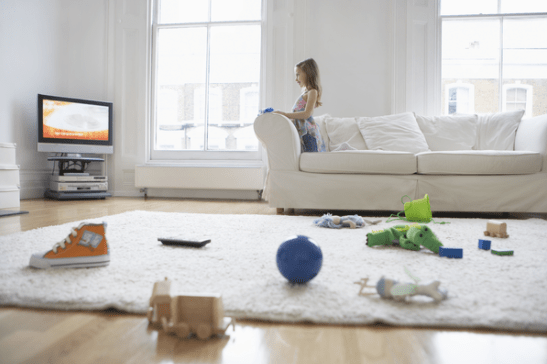 Spring cleaning involves a lot of decluttering, and when the kids take out the trash, they do their part to keep the house clean and functional. Make sure that the bags are not too heavy for the younger children. Depending on how old the children are, they can also roll the can out to the curb. Assign one room each to a child and give each child some microfiber cloths and nontoxic window spray cleaner. If there were stickers or tape on the windows, the child would spray a little water on those areas and after a few minutes, scrape them off with a small plastic scraper before cleaning the windows. Demonstrate to them how it should be done and and then let them get started. If you are getting ready to plant a new garden, you’ll need to thoroughly clean the backyard. The kids can help you with this task by getting rid of debris and dead branches that are in the yard. Have one child rake all of the debris in one pile while the other child would put gloves on and transfer the debris to the inside of a few big garbage bags. While they’re doing this you can prepare the soil for planting new flowers or vegetables. This task is great for smaller kids who may not be able to help with bigger tasks. place them on the child’s hands so they can easily swipe furniture and surfaces. Make sure to remove knick knacks from tabletops and shelves so that the kids can dust without worry of breaking something. You’ll be surprised how much fun kids have, just walking around the room – rubbing everything! They enjoy their task and you get dust-free furniture. It’s a win win. 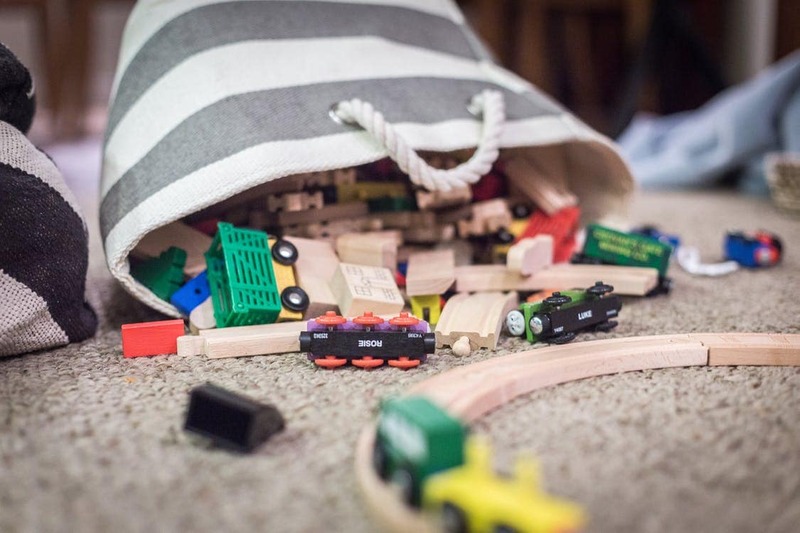 If there are a lot of toys in the basement, place some decorative bins in the room and have the kids sort through the toys and categorize them. One bin can be used to store baby dolls while another bin can store toy trucks and the last bin can be used for storing video games. The kids would then put these bins on the shelf in the basement. Another task could be for them to mop and sweep the basement floor. by removing all pantry items from the bottom cupboards. Have them look at the expiration dates on the items and to throw out anything that is expired or that looks dusty and stale. Spray the inside of the cupboard with a natural vinegar cleaner and wipe them down. The last step is to organize the good items. Canned goods on one shelf, dry goods on another. Give the kids some microfiber cloths or old socks and nontoxic spray cleaner to wipe down counters and sink. The kids can also take the toilet brush, put some cleanser inside the toilet, and scrub thoroughly for five to ten minutes. they can sweep and mop the bathroom floor. Have kids can label the laundry bins by using Post-it sticky notes on each of the bins in the room. Each person would have his or her own labeled dirty clothes bin and clean clothes bin. These bins can be placed on the bottom and middle shelves of the laundry room. You can also use an all-in-one laundry sorter to keep things organized. Give the child a broom and have him sweep dust and debris from the main porch and porch steps. Spray a rag with nontoxic cleaner so they can wipe down the window sills and screens. An older child can mop the top part of the porch and let dry for a few minutes. Assign a junk drawer in a certain room to each kid and have them clear the junk out of them. Children can put the junk in separate boxes and label them by room before bringing them to you. Everyone can sort through each bin to see which things can be kept and thrown out. If the kids have a room or space that they use for art or academic activities, they can definitely help you organize it. The kids can take glass jars and categorize the different kinds of pens, markers and pencils they use daily. One jar can be used to store colored pencils, the second jar would be used to store dry-erase markers, the third jar can be used to store crayons and the fourth jar could be used for storing small containers of washable paints. If the room has a desk with pull-out drawers, the kids can categorize their books with them. One drawer can be used for coloring books, the second drawer can hold storybooks while the last drawer can be used for educational books. Show older kids how to use a label maker so you can easily identify the contents of each box or bin. Smaller children can help by placing the labels on the containers after they are printed. The kids can also clean underneath the chair and table with a microfiber mop. 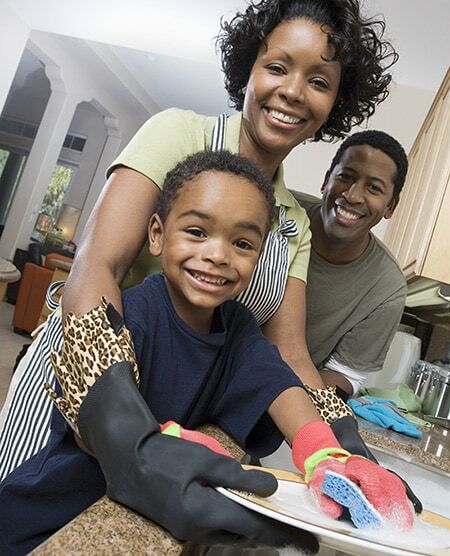 Have your child use a clean dishtowel and all-purpose cleaner to wipe the inside and outside of the microwave. Another child can scrub the top of the stove with a non abrasive stain sponge. While they complete these tasks, you can clean out the oven and toaster. When everyone tosses silverware and dinnerware in the wrong areas of the kitchen, things get disorganized. One spring cleaning idea is to have the kids put those things in their right places. Parents should, of course, sort the knives. But children can sort spoons, forks, spatulas, and other utensils that aren’t sharp. Older children can put cups, plates and saucers in the right cabinets. Smaller children can help stack plastic storage containers by size or color. For the kid who is older, you can give them a cordless hand vacuum to clean the upholstered sofas and chairs in the living room while you use the big vacuum to deep clean the carpet. Have them remove the pillows and sofa seats so they can thoroughly vacuum the crumbs and other small debris that fall between the cushions. Most kids have a ton of toys and electronic gadgets, and the toys collect germs all the time. Teach the kids how to disinfect toys then have them repeat this process with all of their toys. All they need are microfiber cloths and non-toxic all-purpose cleaner or a white vinegar/water solution in a spray bottle to wipe down the toys with. This teaches them the importance of keeping valuables clean and guarding their health. 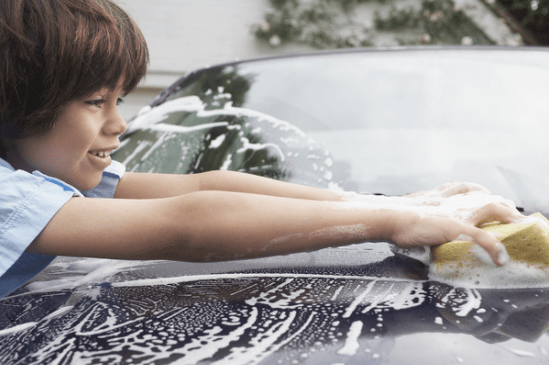 For older children, simply provide a bucket with warm soapy water and a large car wash sponge then let them have fun with the job. For smaller kids, allow them their own small sponge so they can help you with the lower areas, bumpers, and tires. When your kids help you with easy spring cleaning, they learn to be responsible individuals and learn the importance of contributing to the household. It also teaches them to take care of the things they own and how to be a team player. What Is Your Grout Hiding?